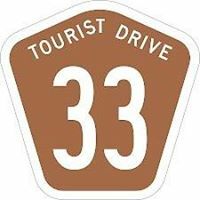 This marks the start of a new way to experience the delights and richness of the Central Coast Plateau and the countryside experiences to be found as you explore the hinterlands via Tourist Drive 33 from Calga to Wollombi. There’s a whole new world to discover west of the M1, and it’s inviting you to take the tour. The Central Coast to lower Hunter region just got a whole lot more interesting. Enjoy! Try this alternative to the M1 North. The Tourist Drive runs right through the Plateau and is a wonderfully scenic alternative to the freeway. Error: Error validating access token: Session has expired on Tuesday, 05-Mar-19 18:25:26 PST. The current time is Friday, 26-Apr-19 05:51:30 PDT.